No one can deny what a generous lump is Keanu Reeves. Even though he has tried to maintain a relatively low profile and anonymity while performing acts of charity for the last twenty years, he is now being recognized. Not for his movies, not for being John Wick or Neo, but as somebody who lives in a simple flat, travels through the subway and donates millions to several charities. Keanu Reeves has a sad back-story. When he was three years old, his father left the family. Keanu was diagnosed with dyslexia which made it problematic for him at school. His girlfriend gave birth to a stillborn, and after some weeks died in an accident at the age of 29. His sister was diagnosed with leukemia, and Keanu spent millions on her treatment. He did not have it easy, which is possibly one of the reasons why he’s so grounded and humane. He knows what it means to be human. When we say that he’s recognized for his good deeds, it is an understatement. 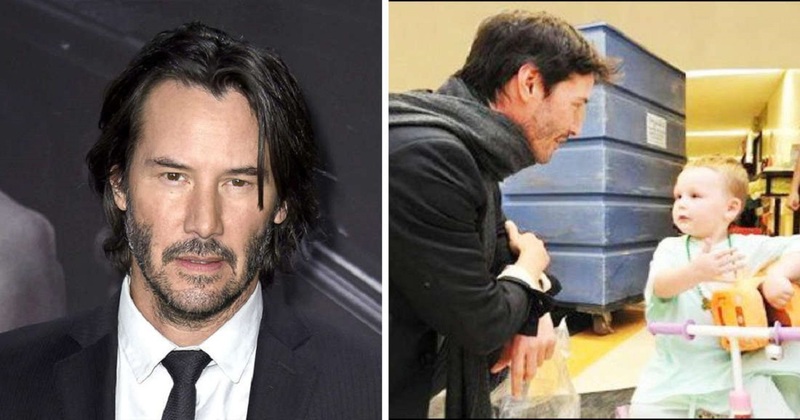 Reeves has been the subject in multiple blog posts, Instagram pictures, twitter stories, and Youtube videos, where people have been sneakily taking photos and videos of him while he was completely unaware of it. There’s been a viral video of him eating a cake on his birthday at a small café and sharing it with everybody in the vicinity. In another video, Keanu was seen offering his seat in a crowded subway to a pregnant woman. This man is great! But what makes him a wonderful person is the number of donations he has made over the years. From organizing hockey matches for hockey players suffering from spinal injuries to donating to cancer institutions while taking care of his sister Kim, the list is indeed long. He had also set up a foundation for cancer funding where he didn’t tag his name beside it. Cancer research is obviously an expensive thing to fund, so for Reeves to lend his fame to raise awareness of the cause (instead of shooting bad movies for money he doesn’t need) is a pretty generous thing. Reeves donates to other charities too, like SCORE (Spinal Cord Opportunities for Rehabilitation Endowment), which is a charity founded in support of hockey players with spinal injuries. It would not go amiss to say that his love for humanity can only be trumped by his love for anonymity. We have several celebrities that would willingly mention themselves while donating to charities, but there’s one individual that would work against that idea. At the Stand Up to Cancer telethon, Reeves organized the entire event himself and also took care of the phone calls.